Voix Du Reve put up a solid front-running performance to take the Grade Two spoils in the Betway Craddockstown Novice Chase at Punchestown. The Willie Mullins-trained six-year-old showed he had learned plenty from his successful debut over the larger obstacles at Galway last month with a polished display. Paul Townend allowed Voix Du Reve (6/4 favourite) to bowl along at the head of affairs and he kept enough in the tank to hold Hardline by seven lengths. Cadmium, the winner's stablemate, was third. "I'm very pleased with him," said Mullins. "He probably wasn't as sharp as he was in Galway. Paul just thought the bigger fences and bigger track just made a difference. It takes a bit more jumping around here than Galway." 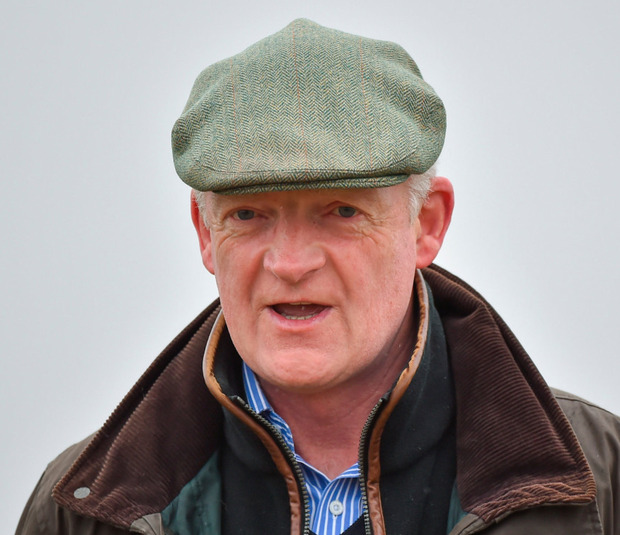 Looking to future plans, Mullins said: "I'd imagine we'll go for something at Christmas. We'll keep him to the minimum trip and we may look at the Racing Post Novice Chase (at Leopardstown). I don't know if he's good enough to do that."